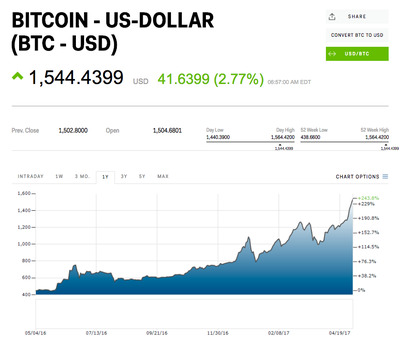 Bitcoin cleared the $US1,500 level for the first time ever late Wednesday. 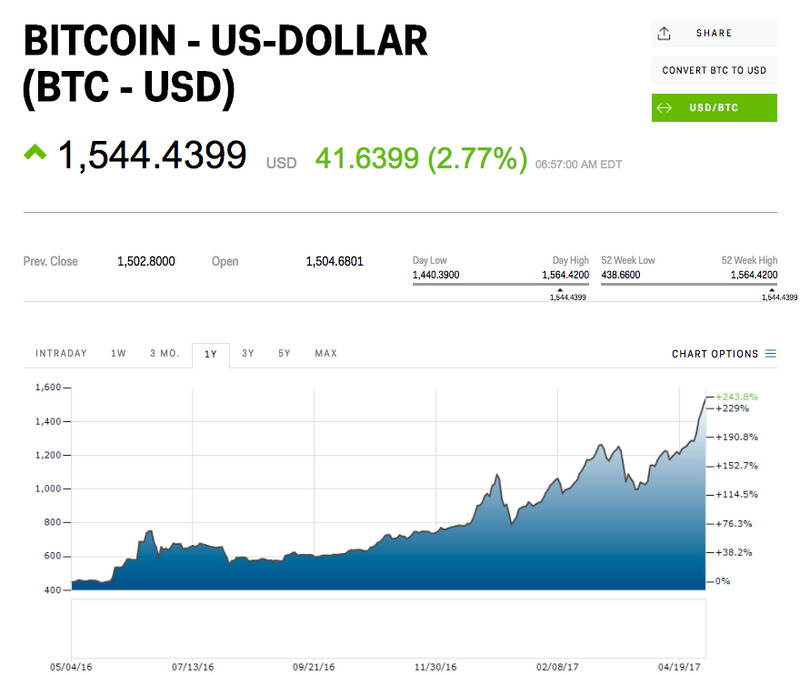 The cryptocurrency trades up 2.8% at $US1,544.43 a coin as of 7:07 a.m. ET. It’s higher for the 14th time in 15 days, gaining more than 32% over that time. The recent rally has lacked any real catalyst, with traders seemingly keying in on hope the US Securities and Exchange Commission will reverse its decision to the reject the Winklevoss ETF. A decision is due by May 15. Bitcoin has overcome China restricting trade, the SEC’s rejecting of two bitcoin ETFs, and threats from developers of creating a “hard fork” that would split the cryptocurrency in two to post a 63% gain so far in 2017. It’s been the top performing currency every year since 2010, aside from 2014. Get the latest Bitcoin price here.